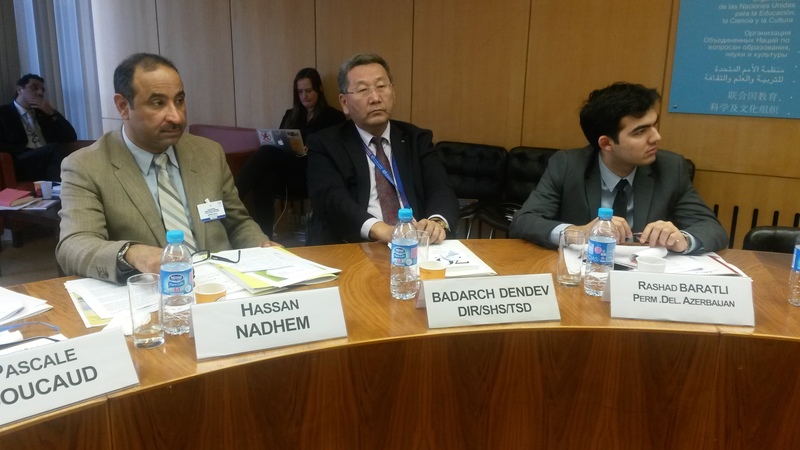 UNESCO Chair Director, Dr. Hassan Nadhem, from University of Kufa participated in a meeting on 17-18 December ,2015, at UNESCO headquarters in Paris, France. 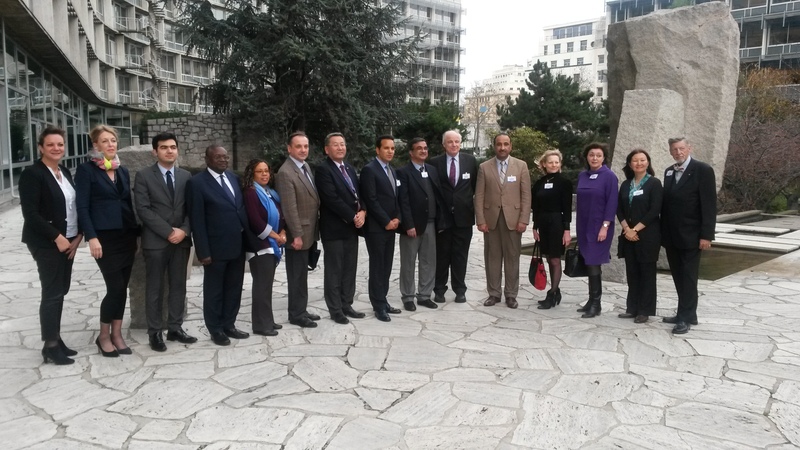 This event was held to bring all UNESCO Chairholders to discuss the work concerning the development of future programs in the dialogue of cultures, each Chairholder presented their proposal and reported his/her Chair’s activities . The first proposal: “Fuzuli: An Inter-Cultural Bridge” in 2017. Fuzuli was a famous 16th century poet, he was well-known for his trilingual writing and poetry in Arabic, Turkish (Azeri) and Persian. His poetry will combine the Iraqi, Azerbaijani, Turkish and Iranian cultures. The purpose of this project is to bring together diverse cultures and religions to create peaceful tolerance, strengthen trust and solidarity through an open forum of dialogue between individuals of disparate cultures and religions in two cities, Karbala, Iraq and Baku, Azerbaijan in 2017. Youth and radical extremism is an important topic that had been discussed as a priority of UNESCO. The issue of young people, terrorism, extremism and means of communication in social media is the key subject of UNESCO who are keen on raising awareness and working on it and its future programs. 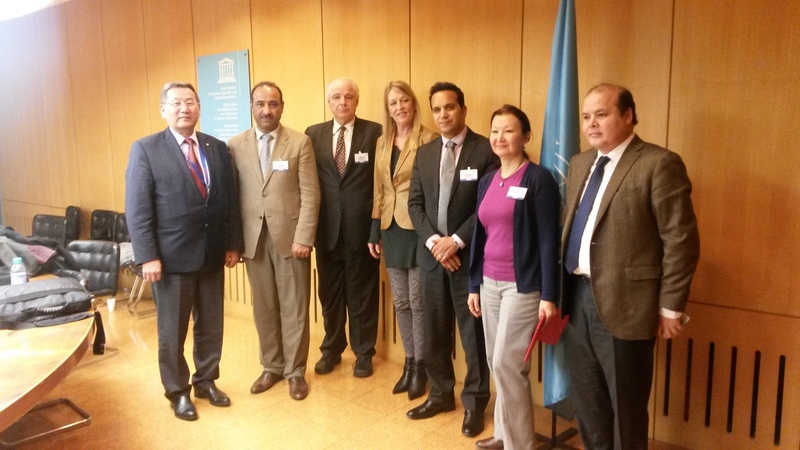 On the last day of the event, 18th December, 2015 Dr. Hassan Nadhem attended the celebration of the “World Day of the Arabic language” at UNESCO, Paris. Next: UNESCO CHAIR CONVENED A LECTURE ON THE CHALLENGES OF HUMAN AND WOMEN RIGHTS AT THE FACULTY OF EDUCATION FOR WOMEN.